About 90 minutes later, I reached the mountain town of Floyd. 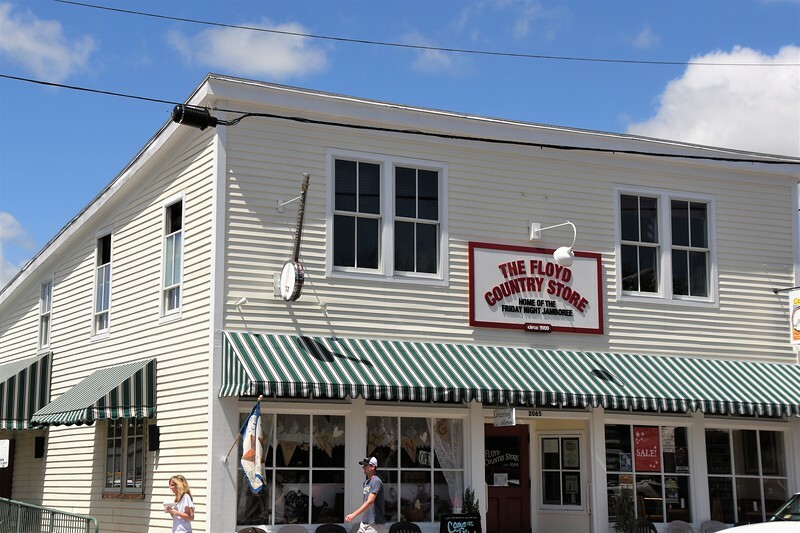 The Floyd Country Store, a century-old restaurant, candy shop, and weekend music venue. They even have an over sized Banjo hanging on the front of the Store.